Recipes from our community is a series of volunteer-led cooking workshops that was launched in February 2016. These workshops create a space where people from our community can share and exchange cooking skills. 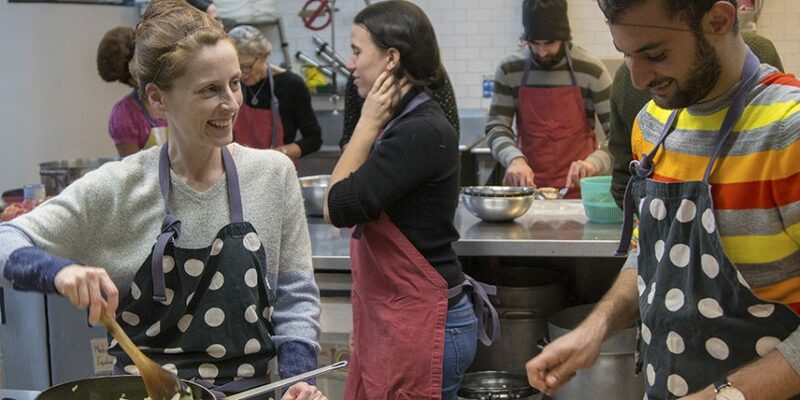 The Roulant is seeking new volunteers that would like to share their cooking skills while co-leading a workshop in this series with the guidance of kitchen co-manager Karine. No prior experience is required. The workshop series will begin in January 2019. 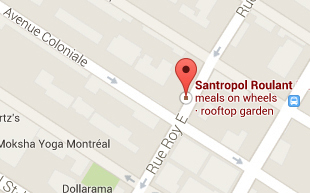 “Last March, I had the opportunity to introduce people to Japanese home cooking at Santropol Roulant. It was a great experience! 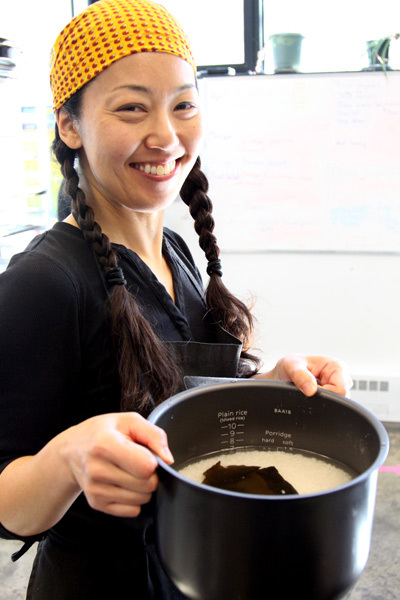 I would like to thank Karine, the Kitchen Co-manager, for her warm-heartedness and leadership. I really enjoyed the chance to introduce my cuisine and work together with a bunch of people. I chose three recipes that would allow us to make the meal together rather than just be a demonstration, so that we could gain closeness and have more fun at mealtime! Since then, I have been regularly volunteering in the kitchen for Meal-on-Wheels, in the garden and other volunteer work. If this opportunity interests you, please contact Karine and she will help you make it happen!